Into Broadway's creative vacuum of revivals, movie adaptations, and Hollywood star vehicles comes Rent, the story of squatters, junkies, performance artists, struggling musicians, drag queens, aspiring filmmakers, and HIV-positives (and you thought Miss Saigon's helicopter landing was cool). 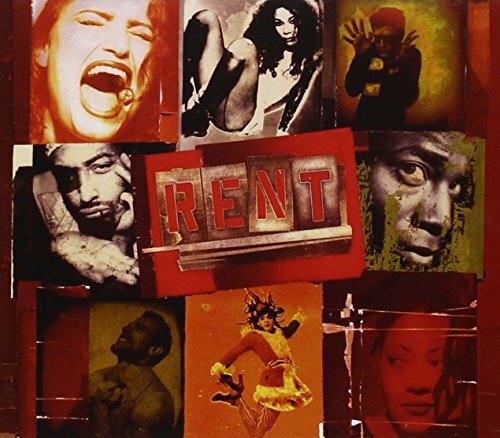 Undoubtedly among the defining pop cultural events of 1996, Rent has already won four Tony awards and a Pulitzer Prize for Drama. More importantly, it threatens to bring substance back to the Great White Way. Transposing Puccini's 100-year-old opera La Bohème into modern day Bohemia (19th-century Paris's Left Bank becomes late-20th-century New York's East Village where the scourge of tuberculosis becomes the plague of AIDS) Rent celebrates life among the young, sick, and unconventional. While Broadway shows are hardly the place for authentic portrayals of the latest marginalized hipsters, composer Jonathan Larson (who died at age 36, days before his musical opened) managed to sculpt vivid characters and scenes that bring Avenue A as close as it will ever come to 42nd Street. And by telling a socially relevant story of living without the guarantee of a future (renting, that is), Larson does his own little bit to define an X'ed generation. At worst, Rent is the Hair of the '90s. For the majority of us who won't be seeing Rent anytime soon, the Original Cast Recording is more than just an after-show souvenir. Well-packaged with a complete libretto, the two-CD set is a worthwhile album separate of live performance. Full of songs that are funny and catchy, inspiring and touching, smart and hip and not overly sentimental, Rent mixes show tune pop with elements of rock, R&B, dance, gospel, and tango to make one of the best albums of the year--certainly the best rock opera in decades.